Advocating for an aging loved one is a learned skill. Family caregivers have a responsibility to an aging parent or loved one to be proactive about care needs. If you are the medical or financial power of attorney you have a legal responsibility to act. This legal responsibility to act sometimes places family caregivers in uncomfortable situations where they do not want to disagree with an aging parent about their wishes but they realize the current situation cannot continue. When concerns exist about an aging parent’s health, daily well-being, physical abilities, or memory loss or when something just doesn’t seem right, the family caregiver must be the “squeaky wheel” . In the current system where healthcare providers are rushed and pressured for time, advocacy is not easy. Medical appointments last 15 minutes. Aging adults are viewed as disposable; meaning seen as old. Some physicians feel that aging adults do not deserve equal time and attention. Over the years I’ve had many physicians say to me, “your client has had a good life, why consider this treatment? Let he or she die.” In all of these situations, I advocated for the wishes of my client and insisted upon treatment. In some situations I changed physicians. A physician whose beliefs are not a good match for an individual’s desires is not the right physician. Caregivers and care receivers commonly feel ignored and unprepared to have conversations with professionals about care needs. These may be situations where hiring a caregiving advocate or a care manager is beneficial. In situations where mental health issues and memory loss exist, the importance of advocacy is even more important. Family caregivers new to caregiving may not know the questions to ask or may not feel able to be persistent to demand attention and care. The first step in advocating is with your loved one who may tell you that he or she is “just fine” and doesn’t “need any help.” Refusals of care are common with older adults who wish to remain as independent as possible for as long as possible. Even if your loved one denies a need for help, you as the medical or financial power of attorney were appointed to act in a prudent and responsible manner. This does not mean that you disregard the feelings or wishes of your loved one. This means that you initiate discussions of concern so that a plan to address health or other concerns may be put in place. Sometimes repeated conversations are needed to be able to move forward with agreement. Don’t give up, be the squeaky wheel. Be the broken record. There are situations where being persistent in advocating with healthcare professionals is necessary. Returning to the idea that as a family caregiver, you know your loved one better than physicians, you must speak up and express ongoing concerns. Listen to the information provided by physicians and ask for additional evaluations and consultations by specialists if current concerns are not being addressed. All physicians are not experts in all medical conditions. Terry, one of my clients, had a change in her daily routine. She experienced sleeplessness, anxiety, a poor appetite, and was not interested in participating in favorite activities. After several calls to her primary care physician by her son, the physician said it was “probably” her Alzheimer’s moving into a different stage. 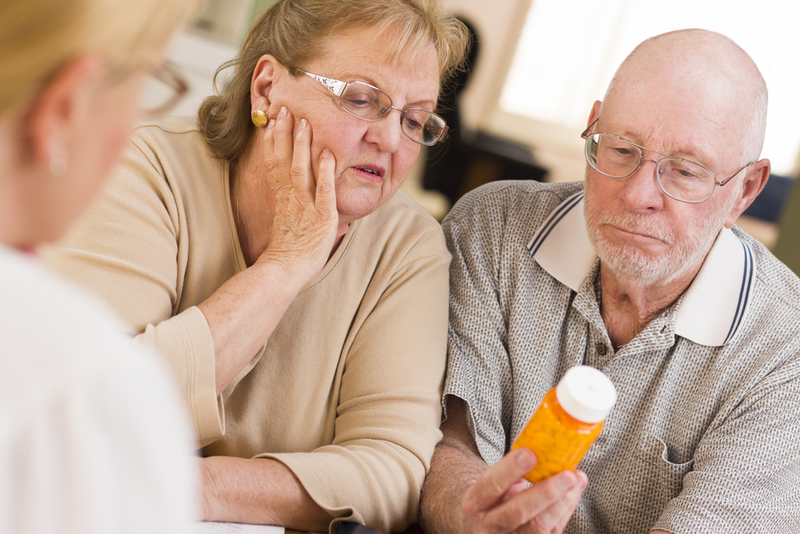 The doctor prescribed a new medication for memory loss and hoped the symptoms would improve. After two weeks of no improvement and escalated feelings of panic, Terry was sent to a psychiatric hospital for evaluation. On the first day at the psychiatric hospital, Terry left a group session, went back to her room and proceeded to drink two bottles of shampoo and eat a tube of toothpaste. After this incident Terry reported that she regretted trying to harm herself and said she just wanted to get better. The psychiatric hospital released Terry to her home a few days later with a change in medication only for sleep. Several days later all of the previous issues returned. The son initiated four appointments in the span of one day with two doctors, a nurse and a crises team. As the result of the son’s persistence and knowing something “just wasn’t right”, Terry was placed on medication for severe depression and anxiety. The expectation was that the stay at the psychiatric hospital would have resulted in a thorough analysis of needs, a diagnosis, and recommendations to resolve the state of anxiety experienced by Terry. Since this was not the result, the son persisted in contacting health professionals until an alternate plan of treatment was identified. A common situation with Terry was that when receiving attention from medical professionals she viewed to be in a position of power over her life, she presented as a different person. Terry was convincing in her ability to act in a balanced and appropriate manner for short periods of time. It was difficult for many of Terry’s physicians to see the anxious, panicky, and hallucinating Terry. The anxious Terry was the Terry that her sons and others caring for her witnessed daily. Older adults with diagnoses of mental health and memory loss become lost in the healthcare system. Because of the memory loss diagnosis, many insurance plans will not pay for behavioral health inpatient hospital stays or treatment. Behavioral health units at hospitals do not want older adults with a diagnosis of dementia or Alzheimer’s disease. This makes receiving appropriate treatment and care difficult and challenging. Disappointing was that none of the psychiatrists or physicians considered ordering neuropsychological testing. Neuropsychological testing has the ability to identify strengths and weaknesses with memory, thought patterns, reasoning, behavior, and to support diagnosis of medical concerns resulting in behaviors or discomfort. Family members and advocates supporting care situations can request neuropsychological testing. This type of testing can confirm if an individual has the ability to evaluate information and to make good decisions. Where this is the determination, family caregivers have an even greater responsibility to act to ensure that aging parents receive needed care. In situations where something just doesn’t seem right, family caregivers have a responsibility to speak up to advocate for an aging parent or loved one. Family caregivers must provide physicians and other health professionals exact descriptions of concerns, medical history, and information that may be contradictory from the information provided by the aging parent. Healthcare professionals rely on thorough and accurate information to diagnose and treat. As a family caregiver it is your responsibility to advocate, especially when differences of opinion exist. Your aging parent may believe that he or she is able to manage day to day, while the reality is very different. Without daily assistance from a family or paid caregiver, the parent would not be able to manage living alone. Family caregiver support is valuable to support aging parents and loved ones to remain at home. 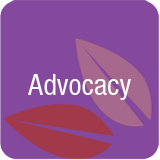 Learning to advocate helps ensure that family caregivers have the confidence in their abilities to interact and coordinate care with a wide variety of healthcare professionals. Consider attending caregiver support groups and programming to support you in the caregiving journey. Pamela D. Wilson, MS, BS/BA, CG, CSA, a National Certified Guardian and Certified Senior Advisor, is a caregiving and elder care expert, advocate, and speaker. Pamela offers family caregivers programming and support to navigate the challenges of providing, navigating, and planning for care. She guides professionals practicing in estate planning, elder and probate law, and financial planning to create plans to address unexpected concerns identified in her past role as a professional fiduciary. Healthcare professionals are supported by Pamela’s expertise to increase responsiveness and sensitivity to the extensive range of care challenges faced by care recipients and caregivers.